“Do not ignore your hunger pangs and eat without guilt. With advanced planning and a bit of preparation, you can have healthy snacks on hand so you’re ready when temptation strikes”. A snack typically means a type of food not meant to be eaten with the main meal-breakfast, lunch or dinner; but rather to assuage a person’s hunger between these meals, providing a brief supply of energy for the body. The term also refers to a food item consumed between meals purely for the enjoyment of its taste. Thus snacking is largely interpreted as consumption of junk food. However it need not be that way!! How to prepare 100 healthy snacks. Snacking can be part of a balanced diet. Eating small portions between meals provides your body with energy to keep you going throughout the day. Healthy snacks provide fiber and nutrients your body needs. You can curb the feeling of hunger or starvation right before a meal, which prevents overeating. Snacking may help you eat smaller portions and reduce your calorie intake. Though individual calorie needs vary, your body needs fewer calories as you age. Eating smaller meals more often may help you stay on track. Try to keep your snack portions small and less than 100 calories. Spacing out meals and snacks can help prevent weight gain. Be cautious of the health claims on food packages. The best snacks are ones that include healthy nutrient dense foods. Unprocessed whole foods make incredible snacks to fuel your body throughout the day and provide the energy you need to perform at optimal levels. 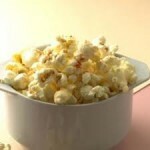 Popcorn: Air popped popcorns are delicious, yet nutritious also. Popcorns are actually more nutritious than you think. Fresh Fruits: Fresh fruits are natural to use as a snack because they are always nourishing and keep you satisfied. Just keep your favorite fruit in your bag to eat whenever you feel the need for a healthy snack. You can also have as a delicious Fruit Smoothie (a blend of non fat milk and/or yoghurt with fresh fruit). 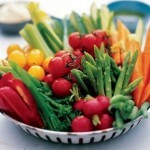 Fresh Vegetables: Fresh vegetables (celery, baby carrots, radishes etc.) 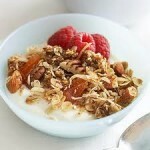 are one of the most wholesome snacks you can give to yourself as they make a fast, easy and extremely healthy snack. Eat with a tasty and healthy dip such as Hummus (Chickpea paste). 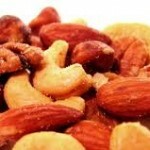 Nuts: Healthy nuts like walnuts, pistachios and almonds are another way to get in to a snack. They are very rich in protein but you have to be careful not to overindulge. 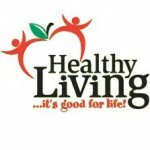 Dairy products: Low fat dairy items, including light yogurt (Dahi) and cheese made with skimmed milk are healthy ways to eat wisely between meals. Apart from getting a plenty of calcium, there are other benefits also in having low fat dairy foods. Cereal: Cereal makes a totally rewarding snack because you are getting a lot of fiber and minerals with delectable taste. Having a bowl of your favorite nutritious cereal will keep you feeling full and healthy without any risk of weight gain. Take care that you are not having excess sugar with it. These snacks promise extra fiber, vitamins and minerals all for about a 100 calories. With proper portions and healthy food choices, snacking can enhance, rather than hurt your diet. The people, who do not snack, end up overeating unhealthy and unsatisfying foods at mealtimes because they waited too long to eat. Researchers have established that people who snack consume fewer calories throughout the day than people who do not snack. Healthy snacking, at the right time, also helps in increasing immunity. In fact eating small meals and snacking healthy in-between will increase your body’s metabolism and you will be able to digest food faster. Make snacking a part of your daily food routine. Plan for it. Prepare Healthy snacks in advance, so that it is available as you start feeling hungry. Keep them with you always, so that you do not give yourself an excuse of unavailability. Make them delicious and interesting so that they look no less tastier than their unhealthy counterparts. Snack, but snack the healthy way doing justice to both your body and your taste buds! !